Comfort Sleeper ™ is not only a gorgeous piece of furniture, it’s the only sleeper with the Tiffany 24/7™ Sleep System. This patented mechanism opens and closes almost effortlessly, with solid platforms that provide even support with no bars, no springs, and no sagging. IN STOCK FOR IMMEDIATE DELIVERY! Rated as “Best Value” by Consumers Digest. Call today for more information, or better yet come to our stores to see the best sleepers in America! Comfort Sleepers by American Leather are available in leather, fabric, Ultrasuede or microfiber. The only sleep sofa available with a Tempur-Pedic™ mattress. The world’s best sofa sleeper pairs with the sleep system that’s out of this world with comfort. Originally developed by NASA scientists, a Tempur Pedic™ mattress conforms perfectly to your body, allowing your shoulders and hips to sink into the mattress just enough so that support is provided along your entire body. One size doesn’t fit all. That’s why we have seven of them. Choose the Comfort Sleeper™ that fits your living space – available in King, Queen Plus, Queen, Full, Twin, Cot and Double Cot. All of our sleeping surfaces are a full 80 inches in length, yet they take up less floor area than conventional sleepers (whose mattresses are only 70-75 inches in length) because our patented sleep system extends from within the seat back of the sofa. 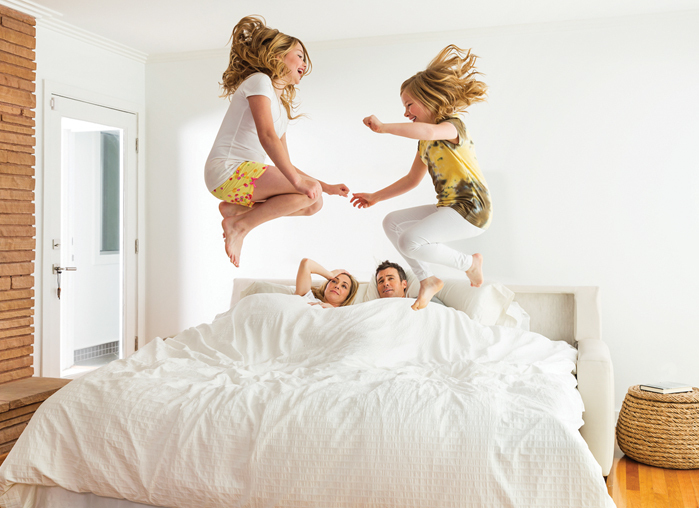 Allergen-free, waterproof and stain-free with their exclusive Crypton® fabric mattress cover. Our soft, white mattress ticking is protected by Crypton, a remarkable fabric technology that is anti-microbial, allergen-free and a barrier to dust mites. The waterproof and stain proof covering adds years to the life of the mattress and ensures that the bed is fresh every time you open it..
Small space? Narrow hallways? No problem. Comfort Sleepers are designed to fit the smallest apartments, condos and cottages. Your authorized Comfort Sleeper dealer easily can disassemble your sleeper to get it through tight entries. Perfect for converting any room into a guest room, queen-size Comfort Sleepers come as small as 69 inches wide. The unique design also fits through narrow hallways and doorways. Both the Comfort Recliner and Comfort Sleepers by American Leather are available in leather, fabric, Ultrasuede or microfiber. Contact us to learn more about our San Diego modern furniture, or visit our San Diego or Encinitas showrooms to learn more about the American Leather Comfort Sleeper.